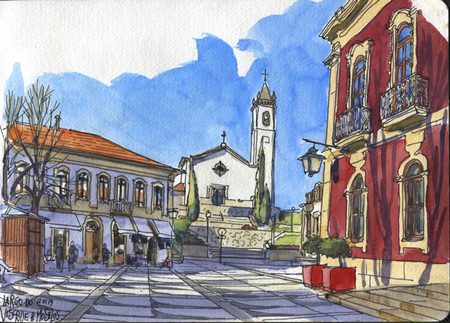 Paulo J. Mendes is an avid urban sketcher based in Matosinhos, Portugal. 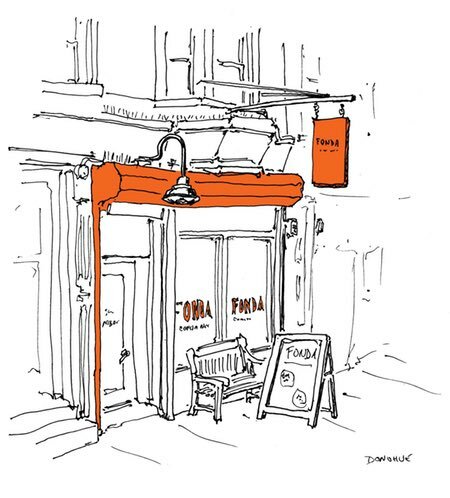 He is also a member of Urban Sketchers, and was a correspondent for the 2018 symposium, USk Porto. Mendes sketches in pen and watercolor, with a confidently loose line that rests on a foundation on solid draftsmanship, and a deft touch with watercolor. He takes on a variety of subjects, and renders his view as he sees it — complete with grafitti on walls. I enjoy his expressions of sunlight and shadow, and his seemingly casual depictions of complex architectural elements. 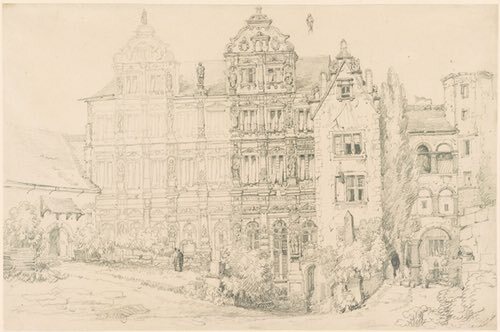 Pencil on paper, roughly 11 x 16″ (28 x 43 cm); in the collection of the Morgan Library and Museum. 19th century artist Samuel Prout give us one of those wonderful drawings that is simultaneously loose and precise, and shows us something of the process of its creation in the more lightly rendered left side of the castle’s facade. 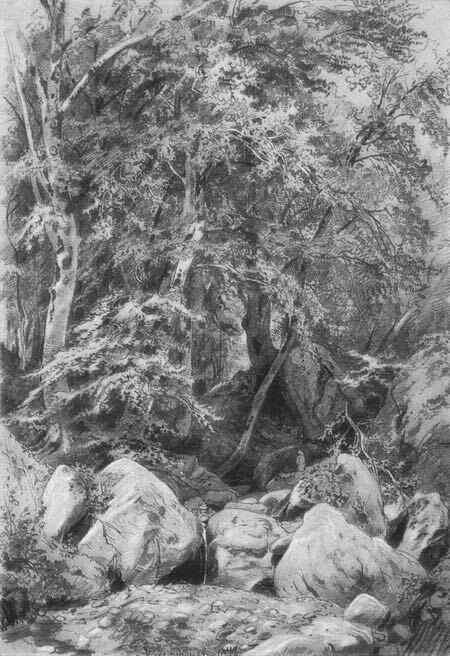 Graphite on paper, roughly 8 x 14″ (20 x35 cm), in the collection of the Morgan Library and Museum. 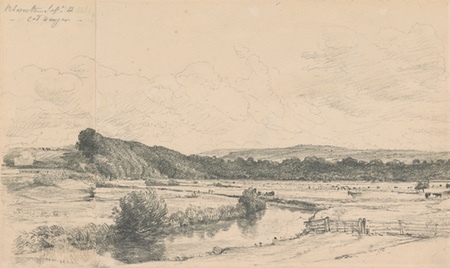 Drawn on two sheets of a sketchbook, this scene is of a farm on an estate in West Sussex, England. Constable’s nuanced command of tones and delicate indications of clouds and textures makes the drawing feel remarkably complete. 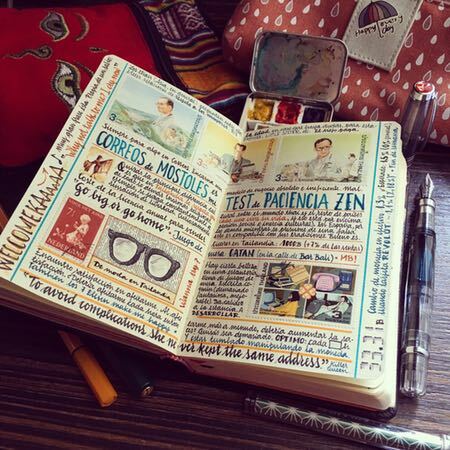 Link is to the image page on The Athenaeum, direct link to the large image here. Original is in the Museum of the Russian Academy of Arts, St. Petersburg. The drawing is in graphite. I don’t have the dimensions. Like many of the great landscape painters, 19th century Russian master Ivan Shishkin made lot of drawings of landscape subjects, some presumably just for study, and others in preparation for studio paintings. I love how the main trees emerge from the background tone and the crisp delineation of the foreground rocks. Related posts: Lines and Colors search for "Ivan Shishkin"